If you want to contact us or book we would love to hear from you ,so please feel free to fill out the contact form below and we will get back to you immediately, or just give us a call directly. All of our details are just on the the right hand side. We are here to answer all of your questions, so don’t hesitate to contact us. 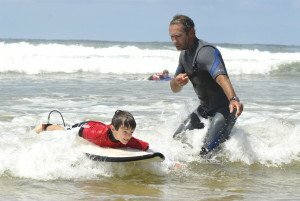 Don’t forget to check out our Surf Lessons Hossegor pages to find the appropriate lessons for you , or some packages that might suit you if you feel like staying with us. You can also see all the prices right here.